Provide comfort for the family of Evelyn Liepe with a meaningful gesture of sympathy. 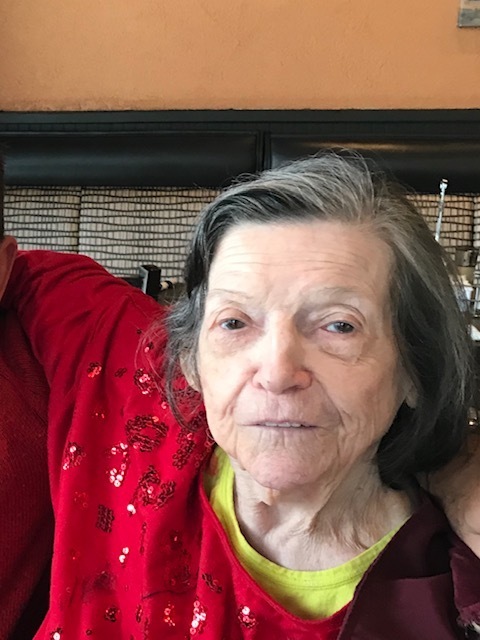 Liepe (née Johnson), Evelyn 82, of Pleasantville passed away peacefully on March 22, 2019.
and especially cherished her extended family. She attended the Caring Senior Program in Pleasantville while living in Pleasant Acres where she enjoyed spending time with friends in the program. Evelyn moved to The Heritage Assisted Living in Hammonton in 2011 and quickly became well known for the excitement she brought to the quiet town of Hammonton. She enjoyed arts and crafts, playing bingo, and talking with everyone. Funeral service will be held on Thursday, March 28 at Adams-Perfect Funeral Homes, 1650 New Road, Northfield, NJ. Viewing 10:00 and service 11:00. Interment: Laurel Memorial Park, Egg Harbor Township. We encourage you to share any memorable photos or stories about Evelyn. All tributes placed on and purchased through this memorial website will remain on in perpetuity for generations. Very sorry to read about your loss of your love one. May you find peace and comfort from God's word the Holy Scriptures. My deepest condolences to the family. I took care of Eveyln for many years. She was an amazing person. U knew it wouldn’t be a dull moment with her . I loved her very much. So sorry for ur loss. So sorry for your loss. Prayers for you and your family.